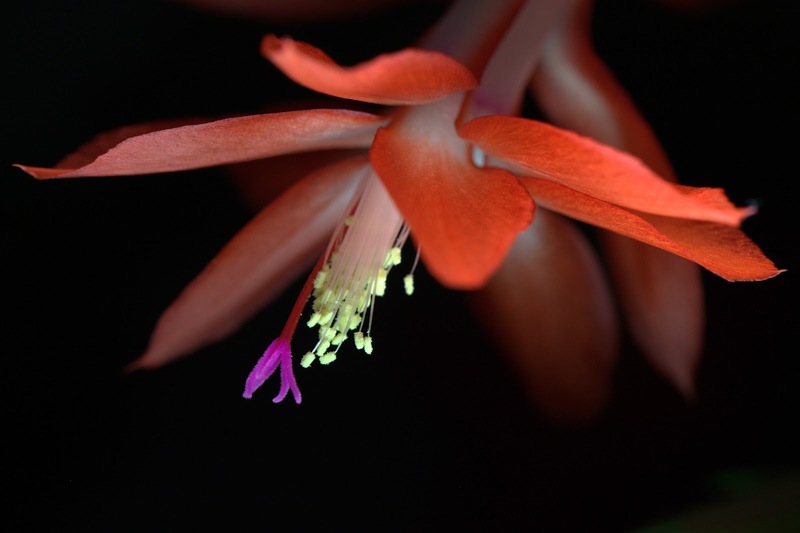 Our late blooming Christmas Cactus is the subject of my "Focusing" photo for today. Using a macro lens for an extreme close-up results in a very shallow depth of field allowing the photographer to to draw the viewer into a certain part the photo which is in sharpest focus. In this case the purple stigma and the pollen covered stamen are the focal point. Canon 5D Mark II, 1/125 sec @ f/7.1, ISO 1600, one LED Litepanel held below the flower and just barely out of the frame.